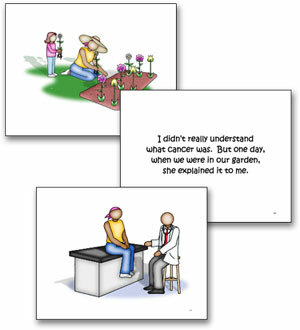 "The book was a good 101 on cancer for children. I don’t think they need to know the details of how sick people get." "It’s enough information for a younger child without getting too involved or using medical terms. It’s just basic knowledge which is all you ever want to give them." In Mommy’s Garden can benefit parents, family members, or healthcare professionals because it helps parents inform and educate children in a non-threatening manner.